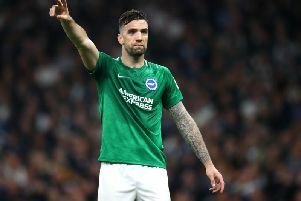 Were you at the Amex last night as Brighton progressed past arch rivals Crystal Palace in the FA Cup? Check out our selection of fan and action pictures. Glenn Murray scored a late winner for the Seagulls after Bakary Sako had cancelled out Dale Stephens' opener. Pictures by Phil Westlake (PW Sporting Photography) and Angela Brinkhurst.